The contract to build the new chair lift was granted in 1951 to Mr. Von Roll of Berne by SFSM. 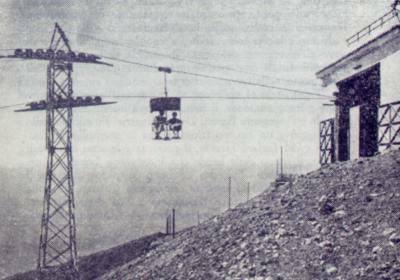 On 8 July 1953 the new chair lift of Mt.Vesuvius was inaugurated. It was the first twin-seat plant with moving chairs in Italy and cost only one-third of what it would have cost to rebuild the funicular.